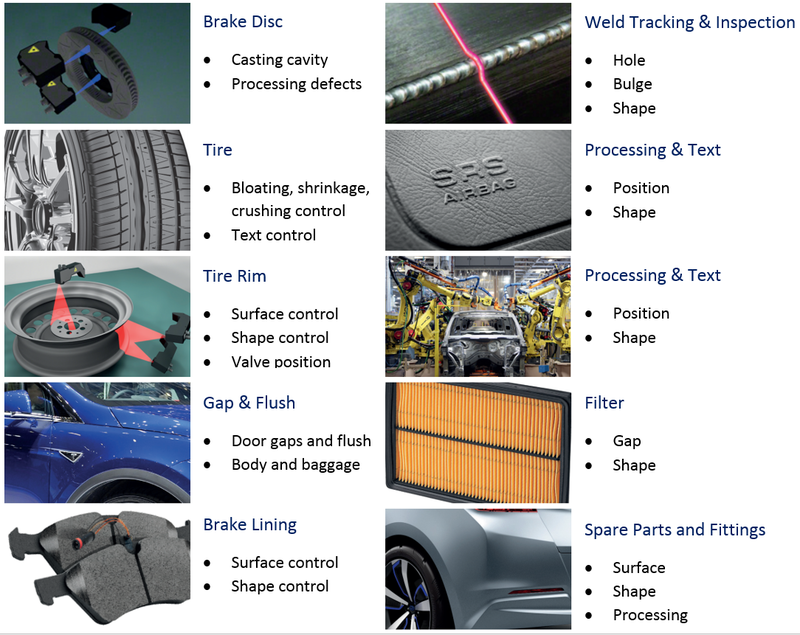 SeamTraC surface quality control and flaw detection system automatically detects faults and defects on the surface. 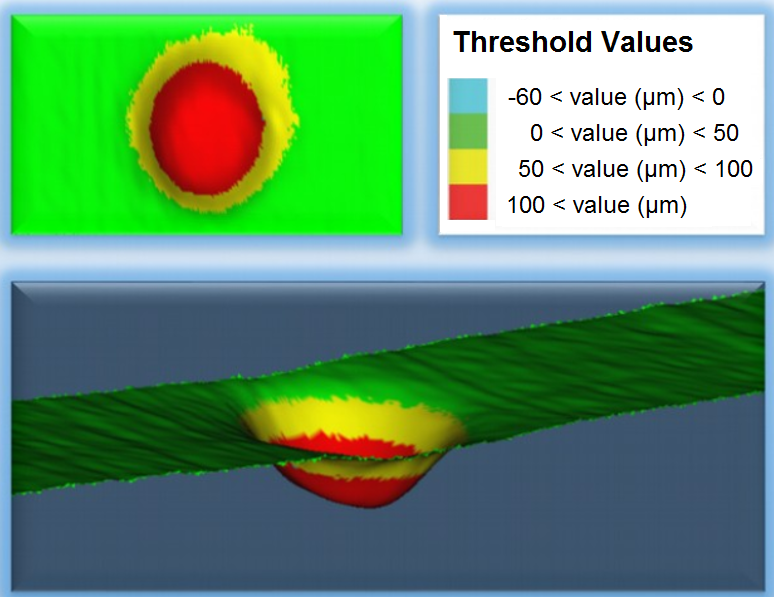 By using parameters defined in the software, the desired defects are detected on the surface. SeamTrac automatically measures parameters such as diameter, height, and misalignment that are required to be measured on the surface. SeamTraC does not only give the flaw dimensions, such as length, width and depth, but also gives the position of the error on the part. In this way, it gives important information about the fault of the stage or production element (gives information about the location and shape of the fault, helps root-cause analysis). 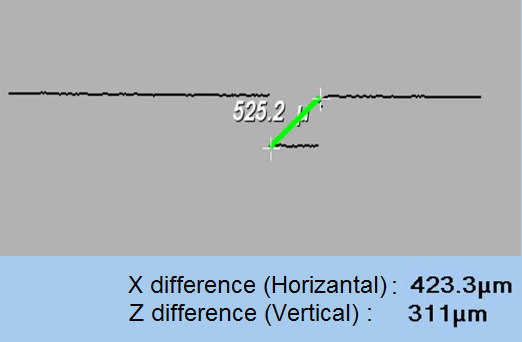 In the example above, coloring is done on the measurement results for selected threshold values in the z-axis (height). Red dots have deeper results than 100μm. In the above example, the distance between two selected points, the distance in the x-axis and the height in the z-axis are given in μm. 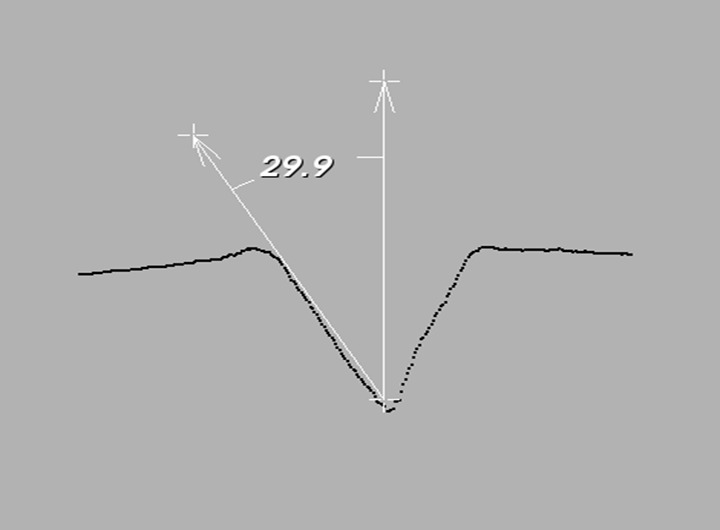 In the above example, the weld gap angle is measured. Our measurement system has passed the Cg, Cgk and Grr tests successfully. One of the potential application areas is naked-eye quality control or error detection applications. For naked eye control, there is no standard in terms of control and it is considered to be 80% efficient. The correctness of the decisions made by the operator changes due to fatigue, irregularity and the like. Different operators can also make different evaluations for the same review. Thanks to the laser measurement system, the surface quality control and fault detection system are aimed at 100% repeatable control.